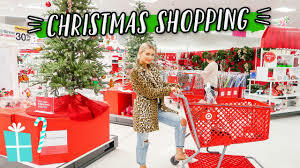 Shopping is usually not at the top of our list except at Christmas. We like to wish everyone Merry Christmas as we move about the stores or when we are standing in line to meet Santa. We stand in line for people who might need to use the washroom or run an errand. Of course we ask everyone we are going to get a present for and they all, yes all, answer “I have no idea.” This Christmas we want nothing except a card and a hug. We have converted to a minimalist. We have everything we need and if something comes up where we need something special, the Universe usually sends what we need. We do remember the one Christmas that pushed us to our limits. The special child we were buying for wanted one of those toys that come out at Christmas and this time it was hotter selling than free money. The think ahead professional shoppers ere all on the store lists that give them first choice. We did try calling, but the wait for an agent for most stores was an hour and the music was a radio station that was not exactly on the channel so you got static and music. So we packed food and strong coffee and we had a list of stores loaded in our GPS. One by one the only open space was about a mile away from the entrance, the store was crawling room only, and of course they were out of what we were looking for. Six hours later we completed the GPS list and stopped to think about where to go next. So we meditated and focused on the toy. We did get an answer form the meditation, but the store that came up was a Christmas ornament store just down the street where we lived. Because we trust, off we went and parked in front, there were not too many people, and they had what we were looking for. It was almost overwhelming how happy we were. We found out that they had received the toy by accident and because they knew it was popular so they kept the load. Mission accomplished and we took an oath that from now on we will be shopping on-line only. Someone mentioned shopping on “Black Friday” and that brought a fond memory to mind when we were driving for Uber. We picked up a couple of people that were going from Palo Alto to downtown San Francisco at about noon. The rout was 101 North to downtown, about 35 miles. They did mention that they expected the traffic to be heavy and we had no idea what it was like. To the surprise of all of us the minute we got on 101 these was hardly any traffic at all. Then came the miracle, once we got up to speed we did not touch the brakes until we were exiting the 101. We have taken this rout many times and when we say miracle, we mean miracle. After the couple exited and we were on the way back the same thing happen and the traffic was so light that the closest car in front of me was a good mile away. We should have taken a picture but we were to busy enjoying a once in 1,000,000,000,000 experience. Nothing in our entire Uber experience ever came close again except the time we were crossing Death Valley, but that wasn’t in an Uber. The cool thing about that experience was two F-104’s buzzed our car about 200 feet off the ground. We think they were showing us what “real” speed was even though we were going 120 MPH. We got their point. So to any of you who are last minute shoppers thinking you are going to get a deal, we hope you do, because there are another million others doing the same thing. Promise you will take your time and wish everyone a Merry Christmas with a smile and the karma should be enough that you will get what you want. Karma Driving Hint: Back in the day when we did a lot of driving a driver cuts us off we would go into a tirade curing and carrying on for at least 10 minutes. Then we were watching a show and a person said that instead of throwing a fit when someone cut them on they said to the other driver through the windshield “God bless you and great job of driving!” That’s all and no tirade. Two seconds and done. The traffic Gods will smile and you will get great Traffic Karma. We want to thank all of our subscribers for supporting our site and we hope to see some of you along the way. Please be safe and cheerful because others will probably join you. We have nothing to report at this time except to send some warm weather to Half Moon Bay and the entire bay area. Many blessing to all.